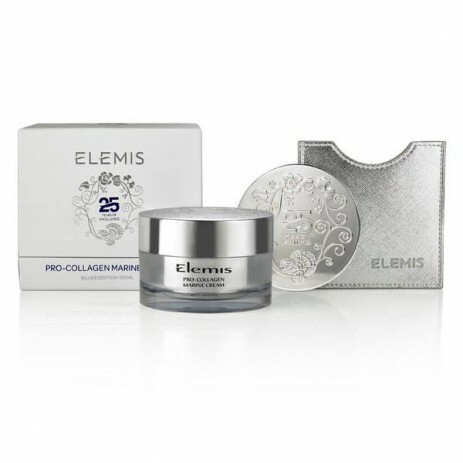 Elemis Pro-Intense Lift effect….The newest edition to the Pro-Intense range, this independently clinically trialled breakthrough formula proved a significant remodelling effect in cheek sagging in 63% of women*. Improvement was seen after just 28 days which became significant at 56 days. Its unique bio-complex of high-tech nature and plant stem cells help improve tone and texture, giving the appearance of a firmer jawline and taut cheeks. PAPILACTYL D®, known to help reinforce the structure of the papillary dermis is combined with Lupin, clinically proven to help improve skin elasticity and actively reduce the depth of jowls. Plant stem cells of Edelweiss and Tiger Grass, with their powerful anti-oxidant, anti-inflammatory and anti-hyaluronidase action help prevent skin cell and structural degradation to maintain a strong framework in the skin, helping to improve firmness, tone and elasticity for a more lifted, sculpted facial contour.